Xtend Barre's flagship London studio is located at 49 Marylebone High Street. Join us for our world-famous Xtend Barre workout, which combines dance, ballet and Pilates. You will get your heart racing, feel the ballet burn and HAVE FUN! No prior dance experience required. If you're new to Xtend, take advantage of our new client introductory offer - 2 weeks unlimited for only £49! As well as our classic Xtend Barre class, we offer mat pilates, yoga flow, and other signature Xtend classes including Circuit 7, Xtend Suspend (TRX) and lots more. Meet you at the barre! Click here to view our schedule. Grip socks are required. You can bring your own or we have some for purchase. Bring a towel and water bottle. We have lockers, changing rooms, and restrooms available for your use. Entry into class is not permitted 5 minutes after the start of class. Let your instructor know if you have any injuries or are pregnant. They are happy to help with modifications throughout class. If you need to change your class, be sure to do so at least within the cancellation period. Our signature Xtend Barre class incorporates elements of dance, ballet and Pilates to create an adrenaline-fueled workout that strengthens, lengthens and chisels the body. Each class features an elegant yet energetic combination of movements that enhance flexibility, improve balance, and challenge the core. No prior Pilates experience or dance training required. Just be ready to sweat! This class utilizes a Pilates stick with spring based resistance that is attached to the ballet barre. Like Xtend Barre, Stick has both an upper and lower body strength focus, plus cardio elements, but further challenges your core, balance and control due to the instability of the resistance. Using TRX suspension straps and your body weight to give you one of the best total body workouts ever! Fully adaptable to your strength and fitness level, you'll work every muscle in your body (and probably find ones you didn't know you had!) to challenge your strength, conditioning and balance. Men and women will be rewarded with extreme results. Boot camps made fun! This high energy class is made up of 7-minute drills, programmed to build strength, burn calories and test your limits! Everyone can dance! This 55min class will have you sweating from head to toe. Focusing on improving cardiovascular stamina, burning calories and stimulating the brain whilst still having fun. Suitable for all dance abilities, this literally is a class for everyone! An intense and invigorating floor conditioning class based on Pilates fundamentals with an Xtend Barre twist! This stretch class is the perfect compliment to your hard barre workouts; spend 45 minutes stretching all those hard worked muscles, mobilizing your hips and spine and utilizing the self-massaging and circulation-increasing grid foam roller. This gentle candlelight yoga flow focuses on movement and fluidity with stability and strength. Relax and restore your mind, body and soul. Available for private classes only, the spring-based machine can be adapted to challenge core strength, build mobility, rehab injuries and is also perfect for pre and post natal clients. Catie Miller, owner and founder of Xtend Barre London, is a former dancer and performer who has lived in London for the past 8 years. Catie had a ‘change of pace’ moment when she became a mother 4 years ago and decided to elevate her love for fitness, wellbeing and community and has been inspired ever since! Finding Xtend Barre, a workout that sculpts, strengthens and motivates, was something that developed a deeper love and understanding for fitness and brought her back to her dancing roots. She continues to develop her strength and passion for fitness whilst building relationships with the Xtend Barre community. Catie is also STOTT Pilates trained and certified and mostly recently was named a ‘FRESH FACE OF WELLBEING’ by British Vogue. When the workout burns and the change begins to happen Catie loves to remind her hard working clients… “Welcome to Xtend Barre”! Belinda is an accredited Exercise Physiologist with ESSA (Exercise and Sports Science Australia). Holding a bachelor of Applied Science degree (Human Movement and Health Studies) and a Masters of Exercise Science degree, Belinda has an extensive knowledge of functional anatomy and exercise prescription. This, combined with her love of teaching has influenced her to become an Xtend Barre Instructor. Belinda’s favorite aspect of Xtend Barre is the unique ability to make vigorous exercise feel graceful. She aims to provide a functional, safe and enjoyable workout that combines strength, flexibility and dynamic balance. 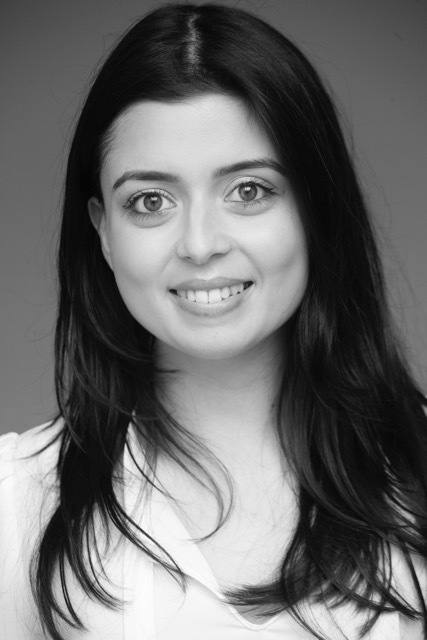 Erika trained at Laban and The University of Limerick, graduating with an MA in Contemporary Dance, she then worked extensively as a dance and costume artist. Throughout her training, Pilates and Yoga filled the fundamental role for injury prevention, body conditioning, clarity of mind, creativity and emotional balance. Erika’s Pilates training is with internationally accredited STOTT Pilates, Matwork, Injury and Pre/Post – Natal. She trained with X-tend Barre when it first arrived in London and encourages many clients to incorporate this challenging and fun workout into their lives. In 2014 she completed her Vinyasa Flow Yoga 200hr at Sadhaka, London and pregnancy Yoga with Yoga Mama. Combining this training with her personal experience of Somatics, natural movement and mindfulness Erika can help you achieve strength without tension and relax you into the rest of your day. Xtend Barre London co-owner, Fay Roberts, discovered Xtend Barre in 2011 when she was searching for a stress-relieving workout that wouldn’t exacerbate her bad back. She was hooked from the first class and quickly got in shape, losing weight and gaining a pre-motherhood waistline within 4 months. The choice to become part of the flagship London Xtend Barre studio was not difficult; it is a format with proven results coupled with a great instructor team and a fantastic location in London. Fay’s career is now heading in a life changing direction as she takes on a role as a Studio Manager at the Marylebone High Street studio whilst training as a Pilates teacher. Greta had a love for dance from an early age, and when she was 13 she won a place to study at the Royal Ballet School. Upon graduating in 2007, she performed across Europe in ballet’s such as Swan Lake, La Bayadere, Romeo and Juliet, Sleeping Beauty and many more. Making the decision to leave the professional dance world, she maintained her close connection to ballet by working as a teacher in London and the Home Counties and qualifying in group fitness instruction. Whilst working in London Greta discovered the Xtend Barre workout and knew that she wanted to become an instructor. The story goes that when Greta and Catie met, both knew they wanted to work with each other, and in little under a year they were! Greta believes that Xtend is the only class that she has experienced that combines the physicality and enjoyment of her dance training by promoting grace, strength and poise, with movements that anyone can master. Above all the workout is fun, which ultimately keeps you coming back for more! Since she has trained to teach STOTT Pilates and TRX, adding these to her class repertoire. Hannah joined the English Youth Ballet at the age of 15 before falling in love with musical theatre. From there she went onto the Italia Conti Academy and graduated in 2012. Since graduating Hannah has worked globally as a professional dancer, and says that joining the circus in 2015 touring the USA was her highlight! Hannah found Xtend Barre during her trip to Australia in 2017. Here, she worked with the Sydney Kings basketball team as one of their squad dancers and needed a fun workout that would keep her body toned. 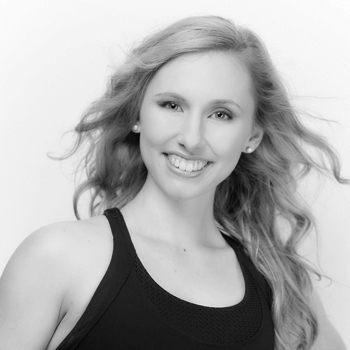 Hannah walked passed the Xtend Barre Alexandria studio at the end of her street every day and signed up without delay. Since then she has been hooked, and sought out the Xtend Barre London studio, attending classes even when she lived at the opposite end of the city! Jaclyn has recently moved to London from Brisbane Australia, where she was teaching Xtend Barre across 4 different studios. From graduating a Bachelor of Fine Arts Dance Performance Degree at QUT, classically contemporary trained and RAD-certified Jaclyn is the pocket-rocket and ready to put you through your paces. She’s toured China, has trained with prestigious contemporary Companies in New York and is STOTT Pilates trained. She has danced since she was 4 years old and trained full-time for 5 years, so she is so excited to bring her passion and knowledge for dance and fitness to the London Xtend community. What she doesn’t have in height, she more than makes up for in passion for her craft – and the kind of in-class discipline that ensures results. Liz’s journey to becoming a yoga instructor began unexpectedly while working in a highly stressful job in luxury fashion when a friend suggested she tried yoga to help with stress and her life took an unexpected turn for the Zen! Whilst travelling in India she fell in love with this ancient tradition and after finishing an intensive course at the Agama School in Rishikesh she went on to complete her Teacher Training at Sadhana Yoga in Bali before returning to London in 2014 where she began teaching donation based ‘karma’ classes from her North London home. Liz finds that Xtend Barre brings together the perfect balance of strengthening, high energy, fun & relaxation with each workout. Her favorite ritual is taking a long, hot Himalayan salt bath after a restorative Candlelit Yoga class. Liz is passionate about helping people achieve a healthier, happier lifestyle through teaching and aims to cultivate joy through her work. She can’t wait to meet you on the mat! Melissa joins us from Perth Australia, where she originally discovered the Xtend Barre workout. She taught across studios in Western Australia and Perth complimenting her work as a television and film actor. Having moved to London where she was studying at London Drama Studio London, Melissa joins the Xtend Barre London team with the experience and passion that she originally felt teaching classes in Perth. She loves how Xtend Barre combines ballet with the fundamentals of Pilates to have an all round amazing full body workout, that gives you results you can see and feel and most importantly is fun! Nicole trained as a Dancer in top Performing Arts school in London. During a successful 10 year career, She went on to perform in shows all over the world, Including the famous Moulin Rouge in Paris and also on tour with the Lido de Paris. 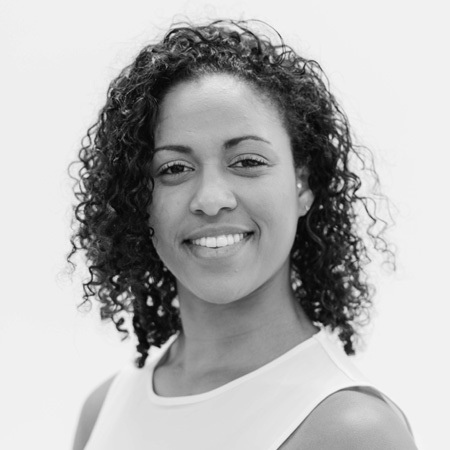 On her return to London, Nicole who always had a passion for health & fitness retrained as a Level 3 Personal Trainer and a Certified Pilates Instructor and has been teaching for over 12 years. Nicole was introduced to Xtend Barre in 2011 and was lucky enough to be one of the 1st instructors to represent Xtend Barre in the UK. Nicole’s energy and enthusiasm is evident in every classes, she encourages her clients to be focused on good technique, to find the challenge but to also have fun! She loves it when her clients start to see and feel the benefits of Xtend Barre classes and that they feel fitter, stronger & more confident. Nicole is also an Xtend Barre Teacher Trainer and loves nothing more than passing on her passion for teaching a successful Xtend Barre class! 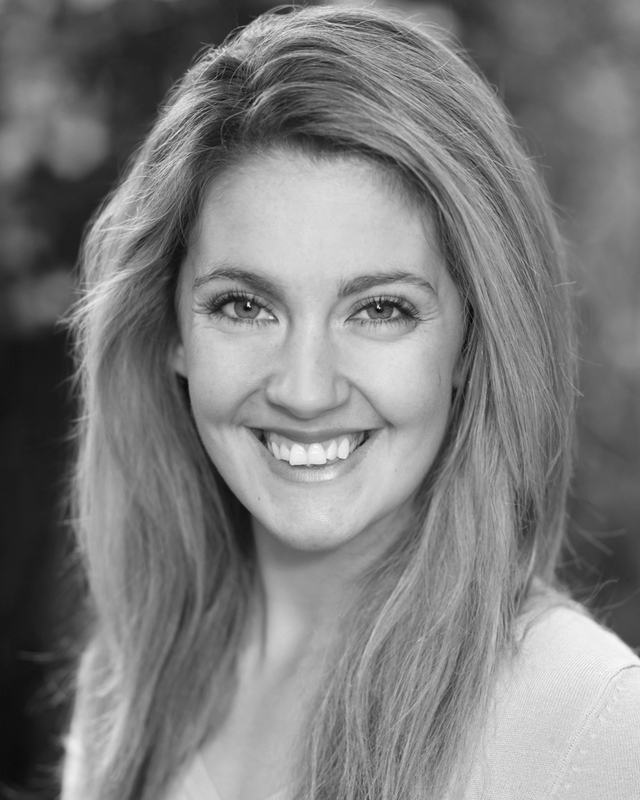 Tash trained professionally at Performers College, Essex where she graduated with a Diploma in Dance & Musical Theatre. Since then she has been performing as a dancer on cruise ships as well as a singer in various productions around the UK and currently works as a fitness instructor in London. After discovering Xtend Barre it only took a few classes, before she was hooked and signing up for the 60- Day Challenge. Tash has always had a passion for fitness and enjoys finding ways to help others push and develop their own bodies. It has been her love of dance alongside this passion that has inspired her to create Dance Sweat. Recognised for her enthusiasm, Tash’s class is always, high energy, sweaty and lots of fun. Her aim is to have you leaving the studio feeling connected to your body and great about yourself. © XTEND BARRE 2019. ALL RIGHTS RESERVED. Please select a country first.